Yesterday the throttle decided that it no longer wished to work as per instructions. I did try to fix it but the aluminium spindle is badly grooved and the grub screw doesn't tighten up on it so I am still running on mole-grips. I will have to get a new unit at the next chandlery. 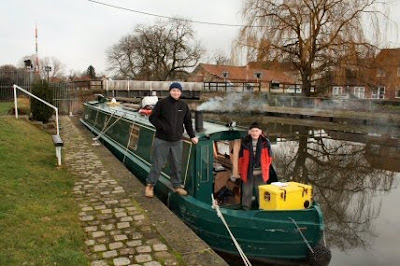 Harry seemed to enjoy the hour that it took to get to Barnby and the swing bridge was opened up ready when we arrived. 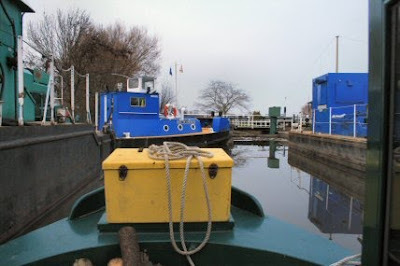 Having left Barnby Dunn astern we were now on the look out for some firewood to keep a supply for the next week while I am moored at Doncaster. It didnt take long to find some trees that had be cut up and left in a large pile on the towpath. Filled up all the orifices - so to speak - and carried on to Long Sandall Lock. 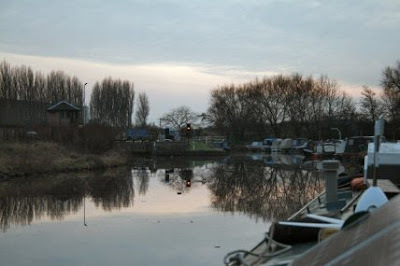 As it is getting rather dull and not want to travel in the dark we decided to moor up at the visitor mooring that is just the other side of the lock. Using the lock you need to make sure that your boat is well moored. Lifting the paddles is automatic and the flow coming out is rather powerful. The mooring is full of BW boats. 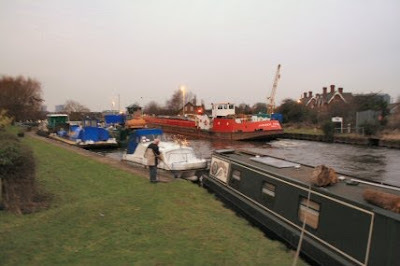 Eric is forrard along with two other boats and I moored alongside Nottingham. There is also a plastic boat here. It has two AWARE notices on it. Last licensed in 09/09 it seems to be now incurring a £20 a day surcharge from 11/09 for over staying its welcome. The cost will be more than the boat is worth. A little bit of excitement after we had moored. The Humber Princess was on its way. The boat started moving about ages before it arrived. Tim was on the other bank and it was suggested he might like to move as the tanker does go over to that side it could be awkward. We hadn't quite finished mooring when she arrived.